Feedly offers lots of ways to share what you read and is easy to navigate with the "J" key, just like Google Reader. For some reason I'm just not thrilled with it and I can't explain why. I've pretty well settled on The Old Reader as my new reader. Like the name implies, it is a lot like Google Reader used to be before it's last revamp. The sharing buttons aren't quite as clear, but I'm not big of sending stuff to everyone anyway. 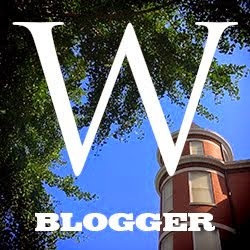 Bloglovin is harder to navigate in my opinion than the others. What I like is that it sends me a daily email showing snippets of all the new posts so I can read them that way if I choose. I too am searching for an alternative. I would like a service that I can read on the web and on my Android phone. Right now I am trying to give Feedly a chance, but the interface just doesn't do it for me. I can't explain why, but I like how Google Reader is "cleaner". This is helpful. I'm struggling with the issue as a reader, because although I imported everything to my WordPress reader, the format there is not very friendly--it's just a long glut of post after post, without any particular organization. I like having them separated by "home," especially for the sites that post multiple times a day--or whose posts I have to save for a day or two b/c I need time to process them carefully. I am trying feedly right now. Still miss Google reader but I am getting used to it. You can change how you see the posts. I like how I can save for later as I "pocket" posts a lot. I am not totally sold but it is my favorite so far.